Core-Mark Holding Co. Inc. had humble beginnings in 1888 as what was then a small tobacco store front called Glaser Bros. Growing into one of the largest distributers of consumer goods in North America, Core-Mark has stayed true to its roots by remaining located in San-Francisco. Looking forward to the modern day, Core-Mark now owns 28 distribution centers from which they distribute all over North America. On top of providing the physical distribution services, Core-Mark is also in the industry of providing logistics and distribution services for those companies who need it. Core-Mark focuses on the distribution of different merchandise stands alongside Food-to-go machines to help maximize profits for their clients. Offering a variety of products and set-ups to go along, Core-Mark seems to able to provide a variety of needs for any client small or large. An integral value of Core-Mark is their ability to cater to the many different needs of each of their customers. Whether or not the store is part of a national chain or an independently owned business, it is Core-Mark’s duty to offer each of the valuable solutions that are customized specifically to their needs. With company having unique models and business goals, Core-Mark wants to ensure the establishment of a long-term relationship with their clients. 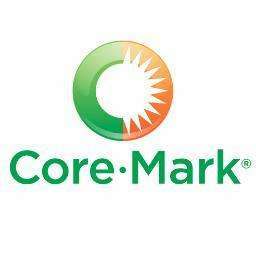 Much as many of the largest distributing companies do, Core-Mark provides a variety of services and following are a few examples of the various business units that Core-Mark employs to be able to influence many different sectors of the market. Rather than providing the typical food service that usually walks the line of becoming a grocery supplier, Core-Mark helps to give its customers assembled set ups with which their client can use to maximize their own profits. By having the product come in an easy-to use pre-determined manner a customer of Core-Mark Holding Co. Inc. can spend more time focusing on their profits rather than the small things. By also providing Coffee and hot beverage machines, Core-Mark can provide you with a variety of machines to suit whichever need you have. Providing a unique service, Core-Mark has designated categories that cater to specific needs, whether it is seasonal or health themed, they have the products that can help. The different categories include; Seasonal Candy Program, Good Health To Go, Kid Zone, Candy Endcap, Gum Rack, Valued naturals and Smart Sets. On top of food based categories, Core-Mark also provides a variety of other services through partnerships that have been established with other companies. The listed options are as follows; energy, sunglasses, Amp charging program and a value DVD program. Entitled Promo Power, Core-Mark also assists in the promotion of the products it distributes. Through playing on the importance of their providers gaining more sales, Core-Mark provides a promotional package that informs clients of all the new and hot merchandise that they have for sale. Also they have a buy 1 get 1 free rack that can be requested. This rack will be filled with all of the newest products in the hopes that the consumers at the end of the line will be enticed to try new products and introduce a variety to your typical inventory.